Viknesh Vijayenthiran March 8, 2016 Comment Now! Toyota is a powerhouse in the auto industry but its manufacturing capabilities stretch well beyond cars. 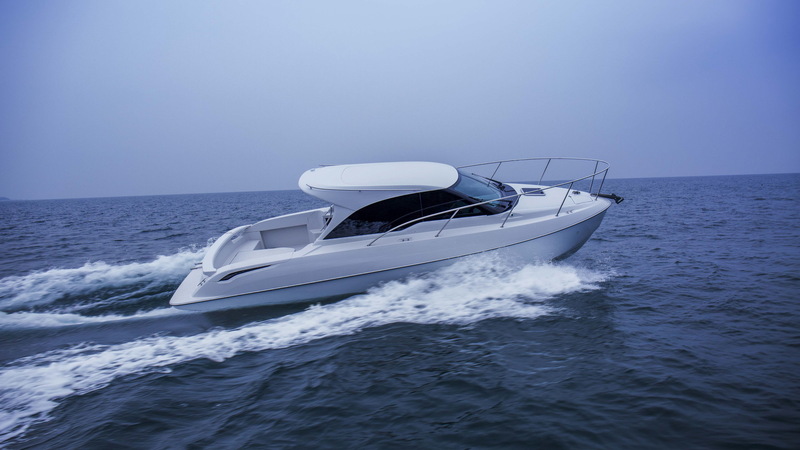 Toyota also has a nautical department that has been building a range of boats for several years, mainly aluminum-hulled models equipped with engines borrowed from some of the firm’s cars. 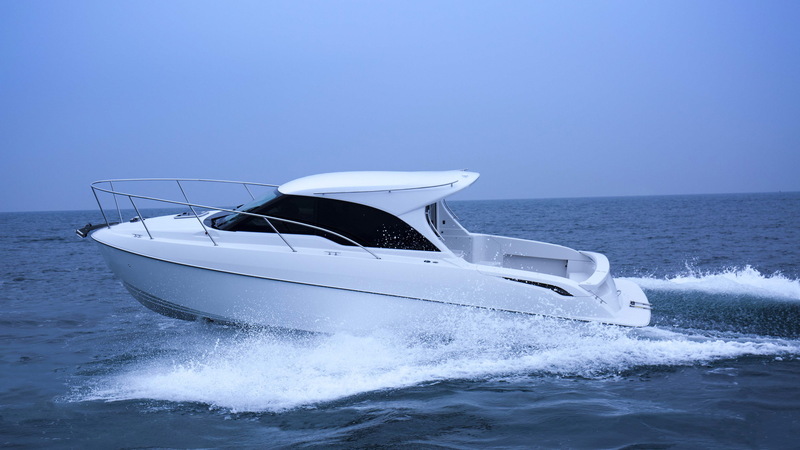 Today we have a look at a preview of an upcoming boat from Toyota. 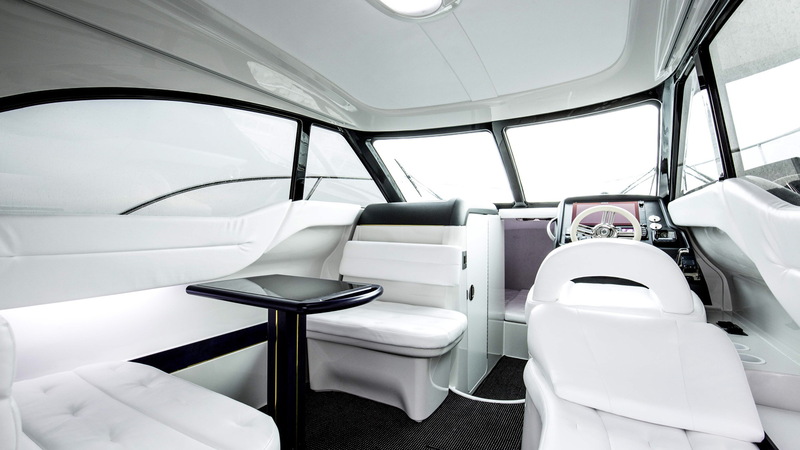 The preview comes in the form of the Toyota-28 concept, which was unveiled this week at the 2016 Japan Boat Show. What’s impressive about the Toyota-28 concept is its multi-material construction. Toyota’s traditional aluminum hulls offer great rigidity but they’re said to require advanced welding techniques that make them hard to manufacture in large numbers. 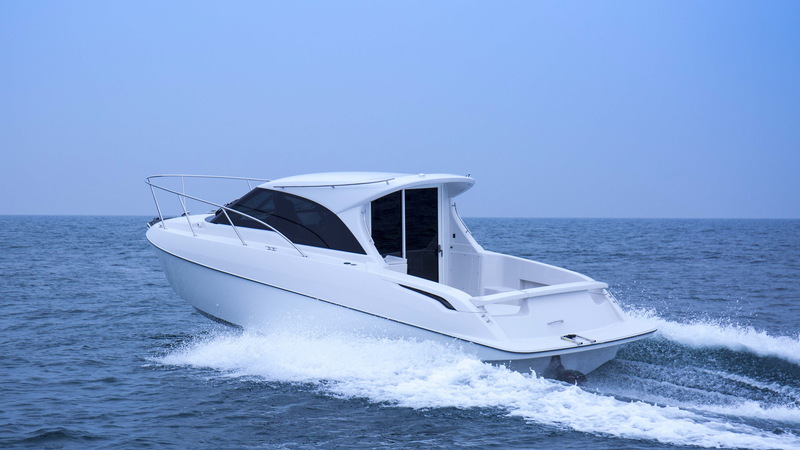 The solution was a new multi-material hull design that combines Toyota’s aluminum and carbon fiber knowhow with fiberglass-reinforced plastic molding technology from fellow Japanese firm Yanmar. Thanks to the low weight and strength of composite materials, the complete structure is not only rigid but also around 10 percent lighter than a comparable aluminum hull. And since the structure is made with molds, where resin is used as a bonding agent, more complex shapes can be created, which Toyota says can lead to improved maneuverability. Though still a concept, the Toyota-28 is destined to enter production this October. It will be produced in partnership with Yanmar.